For thousands of years, the Sun has filled man with inspiration, admiration and fear. The Sun is the most crucial element needed on Earth for life. 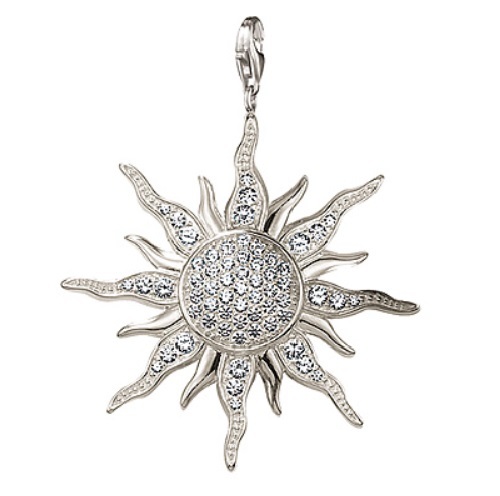 Human cultures have worshiped the Sun in acknowledgement of its importance, its beauty and its magnificent powers. 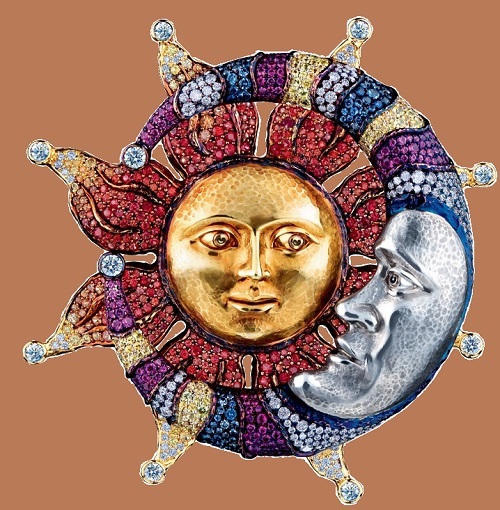 Sun – the giver of light and life, the ruler of the upper and lower world, which it passes during its daily treatment: “Although you are far away, thy rays fall on the ground; although you remain on people’s faces, your tracks are invisible”; “The world exists through you” – read the hymns of Akhenaten, facing the sun god Aten. 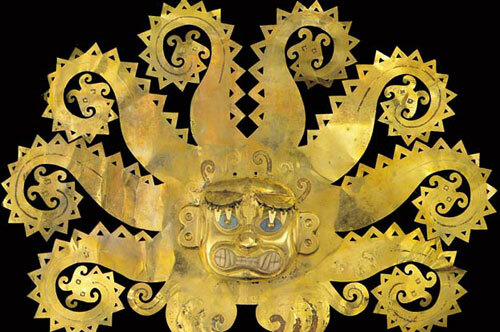 Solar deities and divine personification of the sun, are endowed with the attributes of omniscience and all-seeing, as well as the supreme authority. 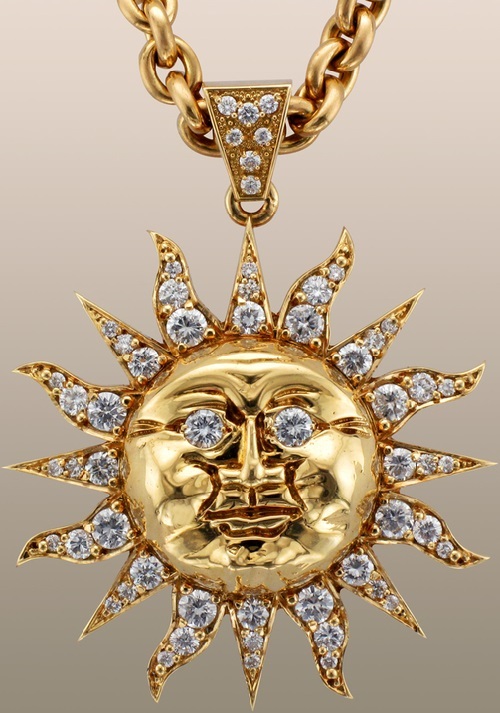 All-seeing eye of the solar deity embodies guarantee of justice. 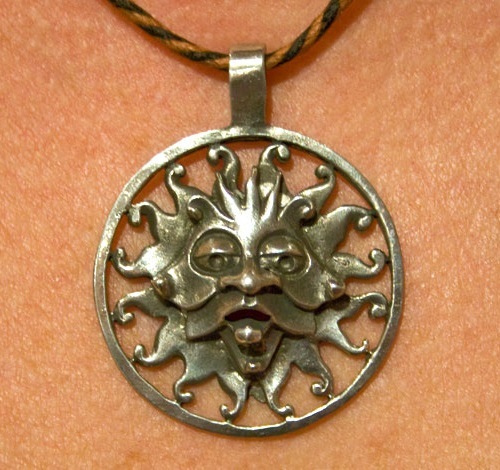 It sees all and knows all – this is one of the most important qualities of a solar deity. 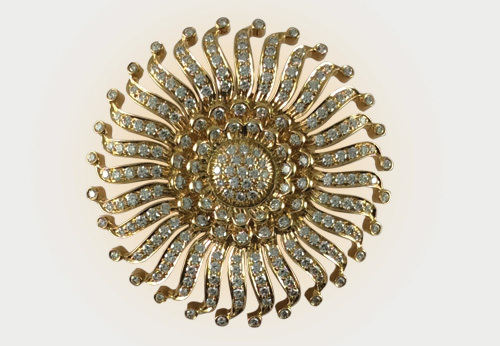 The Vedas chanted the great god Surya, the all-knowing and all-seeing, facing which the stars disappear like thieves. 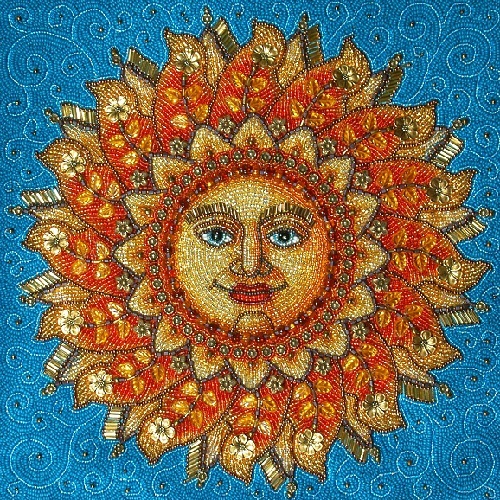 One of the Vedic hymns, dedicated to the sun, says: “Here it rises, marvelous eye of the sun, water and fire, the center of power of the gods, it fills the sky, land and air with its radiant network, it is the soul of all that moves and does not move.” Surya expels not only darkness, but also sickness and bad dreams. 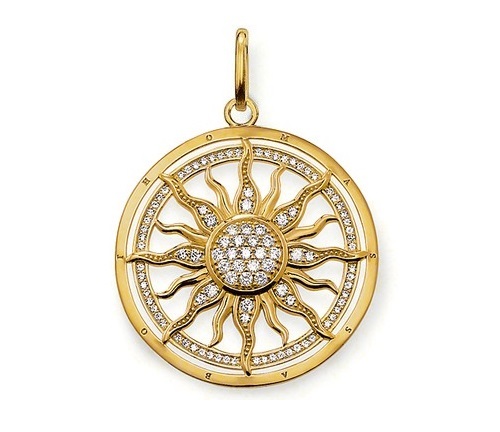 Due to the almost universal association with enlightenment or illumination sun acts as a source of wisdom. These qualities – a beneficial effect, the supreme power, justice, and wisdom – in the framework of the solar cult associated with the elite of society. 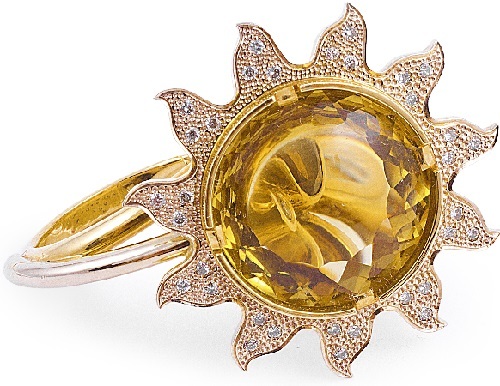 Monarchs ruled on behalf of the sun and the sun was traced in their origins. 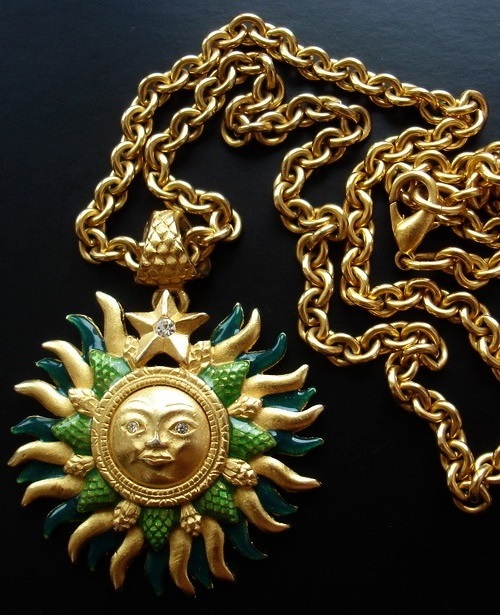 Often solar cult is associated with the ideology of the sacred rule (ruler of Peru – the personification of the sun god, the Pharaoh – the god of the sun, in the sun goddess Amaterasu, Japan, the presiding deity of the pantheon, was the protectress of the imperial family). In addition, the sun represents the heroic. Many heroes of mythology endowed characteristic solar features (Hercules, Samson, and others). The ancient Egyptians, renowned for their sun-worship, knew the Sun as their chief god Ra (also known as Re or Amun-Ra), who rides across the sky in a boat called Sektet and is often represented by the falcon. The scarab beetle was thought to be sacred in Egypt, as it was believed that it carried the Sun across the sky on its back legs. Both the Greeks and Romans believed in the Sun god Apollo, who rode across the sky on a fiery chariot drawn by wild horses and is among the most famous of Sun deities in human history. Apollo, also the god of love, hunting and music, was said to be favoured among women for his handsome features and immortal strength. 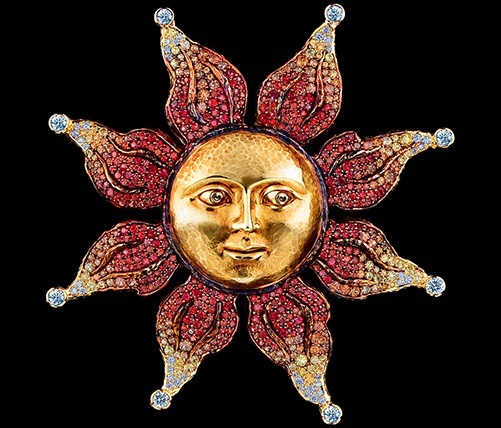 Image of the sun can be considered in correlation with the moon, in a number of mythologies serving as his divine consort. The sun dominates the moon; in English and several other languages ​​Sunday named in honor of the sun, while the Monday – in honor of the moon. Sun is adamant and immortal, unlike the moon, unstable and flawed, dying and being born again. Subordinate nature of the moon reflected in the fact that it only reflects the light emitted by the sun. 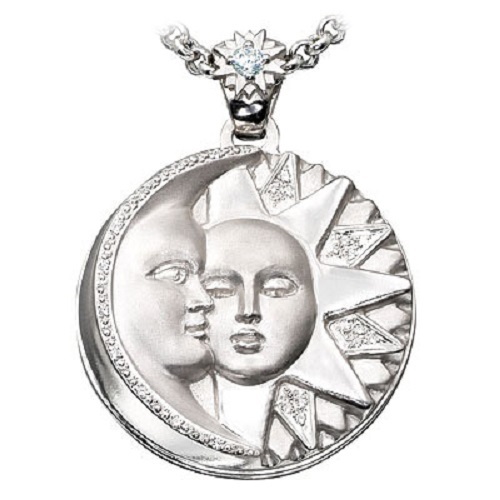 In general, men are bound to the sun, active and positive principle, and with the moon – female, passive and negative. For example, in the mythology of ancient solar dynasty – a peace-loving, while the moon is different with militancy. 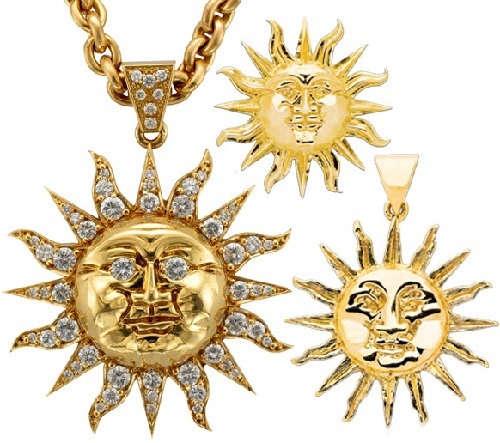 Metals correspond to the sun – gold, and of colors – yellow, while; the moon is related to silver and white. Night disappearance of the sun can be seen as death: “The sun, which is considered the setting, the dying day, was the first creature that passed life’s path from east to west. It was the first death, first pointed the way to people. When the course of our life is complete, our own sun is setting in the far west (Veda), Night Crossing of the sun represents the inevitability of death, darkness, sin, just as the existence of white presupposes black. However, the death of the sun is not final and must include the idea of ​​resurrection, in fact, it can not be regarded as the true death. In Christianity, the sun becomes a symbol of God and the word of God – bearing life and enduring; it has its logo carriers of God’s word; clothed with the sun shows the true church (Revelation. 12). Like the sun shines righteous (in accordance with tradition, representing the holiness, the spirit in the form of light). The sun is depicted on the arms of many nations; the rising sun – Japan’s state emblem.